Liverpool’s bustling Cain’s Brewery Village got two new food concepts this weekend as Phooey’s Dim Sum and One Love Jamaican Jerk joined the popular BBQ specialists Apocalypse Cow on the site leading up to the new ON AIR music and cocktail bar. It’s a busy time for the Upper parliament Street side of Cains Brewery Village as ON AIR is now open and Birdies Bar and BBQ has doubled its size to meet demand. ON AIR and Birdies are free to enter, and both have a range of bespoke cocktails, which perfectly complement the food on the menus. The three food concepts will be served from a huge shipping container, made into a state of the art kitchen, and served in the new, larger Birdies Bar and BBQ. 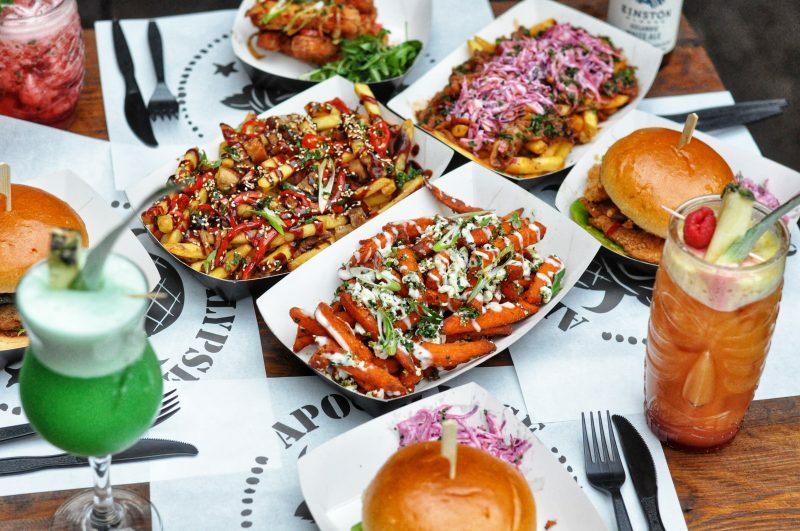 With more than 20 years’ experience on the Liverpool food and drink scene, and having worked at restaurants across the city, Apocalypse Cow specialises in top quality BBQ street food, using only hand selected USD grade brisket, Boston pork butts and the best locally sourced seasonal produce. Chefs Andrew Henry and Stephen Hampton (or Rolo and Burger as they are known) have created their own secret recipes, with the perfect blend of 100% beef in their burgers, as well as delicious slow smoked halloumi fries, butter, tofu and fish. 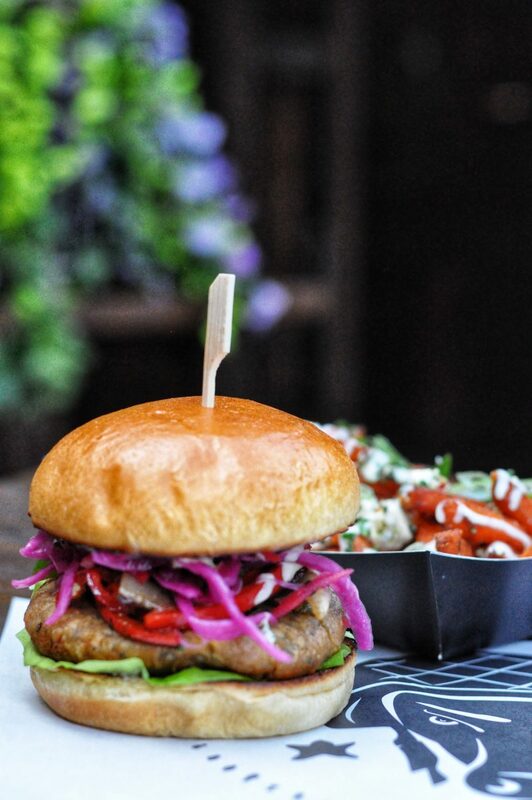 As well as meat, vegetarian and vegan burgers, they offer a wide selection of twisted tapas for sharing, including baby back ribs, jumbo wings, lasagne bites and the best mac n cheese in the city. ON AIR is the latest impressive concept from the team behind Ghetto Golf, Kip Piper and Danny Bolger, and chart topping musician Ethan Allen. 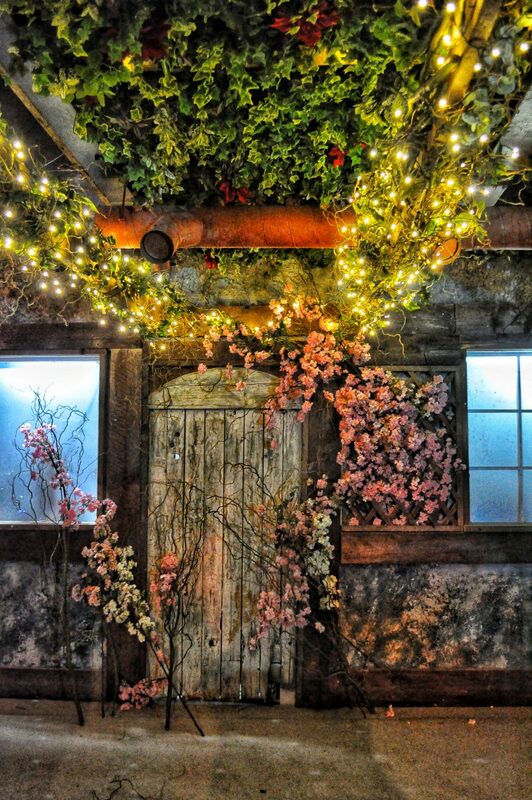 A complete theatrical experience, it features huge beautifully painted 60ft film sets, with a secret garden mezzanine offering views over the stage. With live music at its heart, it has the feeling of a courtyard music festival, surrounded by stunning old buildings and even a fairytale castle. It is unlike anything Liverpool has seen before and there is now a second gate from Upper Parliament Street, which allows direct access. The new concepts, Phooey’s Dim Sum and One Love Jamaican Jerk, offer an even bigger range of flavours, inspired by Liverpool’s love of world food. 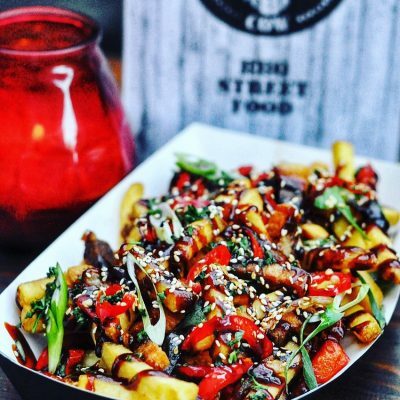 Stephen says: “Phooey’s was inspired by Liverpool obsession with all things salt and pepper, Rolo has previously opened an Asian inspired restaurant – his mum was actually born in Hong Kong. “Liverpool has one of the oldest Chinese communities Europe, and we love eating Asian food, with its clean vibrant colours and fragrant flavours. You can really push the boundaries with this type of food. Menu highlights include pulled pork, with 16 hour smoked pork covered in beautifully sticky South Carolina barbecue sauce with fresh crispy lettuce, home-made pickles and slaw (£7.95), the halloumi burger with long cold smoked halloumi, topped with secret recipe herb pesto and a fresh salad, (£7.95) and a vegan falafel burger with home pickled slaw and tasty tahini sauce (£7.95). There are also tacos in a soft tortilla with devilishly spicy salsa and pickled chilli £7, as well as delicious smoked halloumi chips with either salt and pepper and sweet chilli or maple syrup with bacon dust or a herb pesto all for £6.50. It’s hard to resist the kamikaze fries, with Korean pork, chilli, spring onions, peppers and a ridiculously good char sui sauce (£6). There’s also salt and pepper crispy Sui mai with peppers onions chilli and salt and pepper dressing (£6.50), or crispy chicken gyoza served with Thai dipping sauce (£6.50). Don’t miss the vegetable katsu balls with butternut squash and a mouthwatering curry sauce (£6.50) and the salt and pepper squid (£6.50). Caribbean favourites include glazed chicken wings with sticky barbecue sauce, a mango and habanero sauce or a watermelon hot sauce (£6.50), or flame cooked garlic and chilli tiger prawns (£7.50), Caribbean salad, with pulled jerk chicken, avocado, spring onion, mango, cherry tomato and citrus dressing (£8.50). For those with a sweet tooth, there’s the beautifully indulgent churros, filled with chocolate and served with whipped cream.